If not implemented correctly, new technologies can introduce additional risk and complexity to your organization. 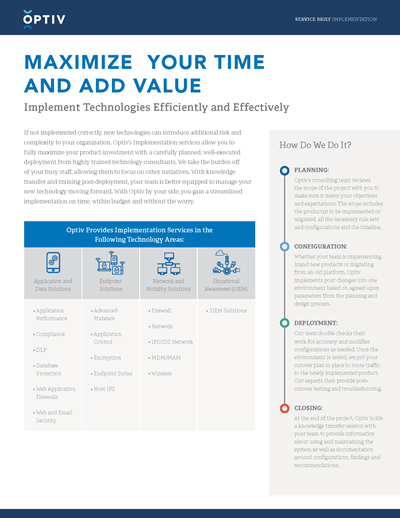 Optiv’s Implementation services allow you to fully maximize your product investment with a carefully planned, well-executed deployment from highly trained technology consultants. We take the burden off of your busy staff, allowing them to focus on other initiatives.